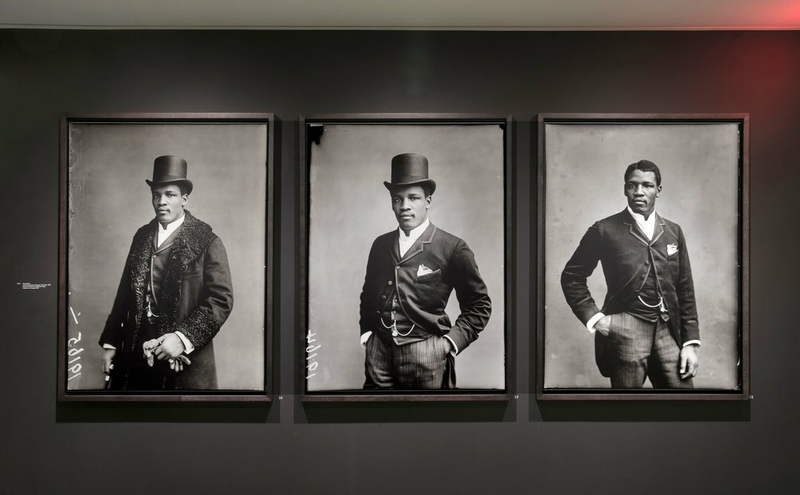 Black Chronicles II explored the presence of black subjects in Victorian Britain through the prism of late 19th century studio portraiture.The Cooper Gallery installation presented the U.S. premiere of this critically acclaimed exhibition, first shown at Rivington Place, London in 2014. The second in a series of exhibitions dedicated to excavating archives, Black Chronicles II showcased Autograph ABP’s commitment to continuous critical enquiry into archive images which had been overlooked, under-researched or simply not recognised as significant previously, yet are highly relevant to black representational politics and cultural history today. The exhibition presented more than 100 photographs, a majority of which had only recently been unearthed as part of Autograph ABP’s on-going archive research program The Missing Chapter. Presented alongside works from the Hulton Archive’s London Stereoscopic Company (LSC) collection was a selection of rare albumen prints, cabinet cards and cartes-de-visite that became popular collectibles in the late 19th century. These portraits depict dignitaries, servicemen, missionaries, visiting performers, known personalities and many as yet unidentified sitters– their collective presence bearing direct witness to Britain’s colonial and imperial history, and the expansion of the British Empire. A highlight of the exhibition was a newly rediscovered series of exquisitely rendered photographic portraits from the Hulton Archive’s LSC collection, featuring more than 30 portraits of The African Choir, which toured Britain between 1891 and 1893. Originally photographed on glass plate negatives, these extraordinary images lay buried deep within the archives for decades, and were presented for the first time in 125 years. — Renée Mussai, Autograph ABP Curator and Head of Archive, Co-curator of "Black Chronicles II"